the UNESCO-protected historical center where you will see Juliet's balcony, elegant palaces and ancient ruins. Then you'll have the option to visit the Verona Arena, one of Italy’s best-preserved amphitheaters and home to a world-famous annual opera festival. You're off to Italy on an overnight flight. *Flights are not included in the price of this package. We are happy to arrange them for you. Your private driver will greet you at Malpensa Airport and bring you to your hotel in Milan. Check in to your hotel, then enjoy your evening at leisure. See the best of Milan, from the medieval Sforza Castle to the iconic Duomo, “La Scala” Opera house and the most famous shopping and dining areas of the city. Plus get an intimate viewing Leonardo da Vinci's greatest masterpiece: the Last Supper. Feel free to explore this city as you like or take one of our food tours in Milan or an excursion to Lake Como, Bellagio and Lake Lugano. Check out our Day Tours in Milan or Excursions from Milan and feel free to add them to your itinerary. A private driver will pick you up at your hotel and transfer you to MilanTrain Station for your first class train ride from Milan to Verona. Once you've arrived in Verona, a private driver will meet you at VeronaTrain Station and bring you to your hotel. Enjoy the free day to explore Verona as you wish! You’ll stroll through the UNESCO-listed historical center to see Verona's major sights such as Juliet's Balcony and its elegant Palazzi and incredible roman ruins. Then you'll visit the Verona Arena, home to a world-famous annual opera festival. Feel free to explore this city as you like or take a cooking class or a bike tour in Verona or an excursion to Sirmione and Lake Garda or the Amarone Wine country. Check out our Day Tours in Verona or Excursions from Verona and feel free to add them to your itinerary. Your private driver will bring you to Verona Airport. 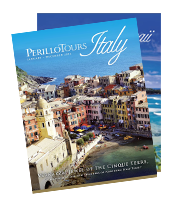 We hope you have an excellent time experiencing two of Italy's hidden treasures. A warm “grazie” for traveling with us and we hope to hear from you soon to plan your next Italy Vacation! The Manin Hotel is located in the heart of central Milan, near La Scala Theatre, the "Duomo di Milano" and the famous fashion avenues via Spiga, via Manzoni and via Montenapoleone, with a magnificent panoramic view over the city’s most beautiful park. Enjoy a pleasant 2-hour cruise around Lake Como, surrounded by the magnificent Italian Alps, rich gardens, and fabulous villas (including those of George Clooney, Star Wars and James Bond movie). Visit the beautiful town of Bellagio also known as “the pearl of Lake Como”. At last, enjoy free time to shop for chocolate and other specialty items in the charming lakeside town of Lugano, Switzerland.